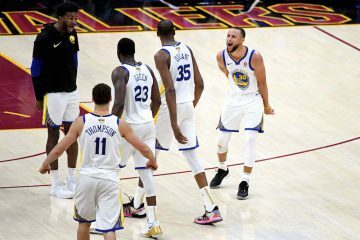 There was once a time when after a performance like the Golden State Warriors threw out there Sunday night, each player and coach would bemoan the lack of preparation, discount the win itself as even good, and provide the necessary changes for a better future. 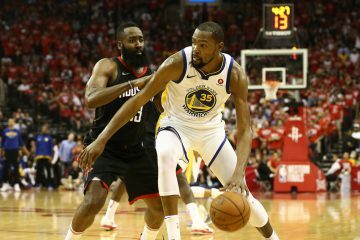 That past was not so distant ago, stretching across the Mark Jackson and the championship Steve Kerr seasons as those teams relied on defense as a calling and trump card in one. 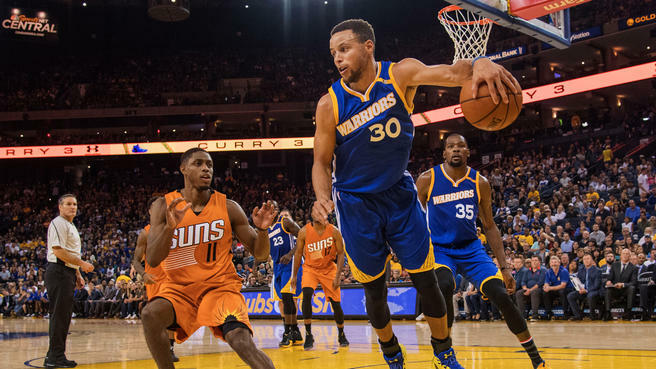 But if Warriors fans could just walk back a little further, there was one coach that would salvage and drink in what Klay Thompson, Stephen Curry, Kevin Durant, and Draymond Green accomplished against the Phoenix Suns in a closer than it looked 133-120 finish. The last time the Warriors had a scoring effort this concentrated (30 points each across 3 players) happened in the 1990s with the Run TMC squad. 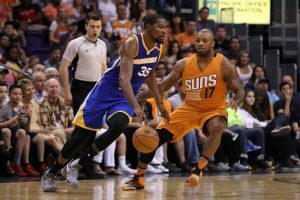 Though Kevin Durant missed it by one point, the level of offensive potency is getting to the point of almost unfathomability. It isn’t that the offense is great, it’s that there are still struggles with ball movement, turnovers, and shooting. Yet, the end result is about as perfect as it can get. On the other side, however, is the problem that’s become so obvious, wins start to feel like losses en mass. 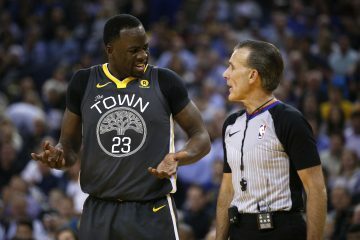 Draymond called it a “lack of energy”. If a defense doesn’t start strong, it’s hard to simply turn the switch back on at any moment. It starts to avalanche. Kerr expounded in the “lack of communication”. Steph and Durant each came up and spoke along the same lines, even saying the early start time was the cause for the lackluster start. Whatever the case may be, the Warriors know the issue, and don’t seem particularly stressed in the broader landscape. 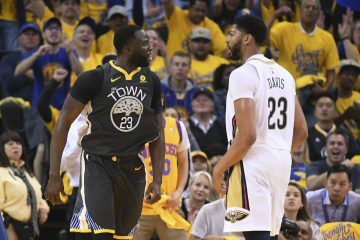 Steve Kerr has completely shifted into DGAF mode with his rotations in regards to playing his best players when the opposing team is making a run. He’s willing to sit any of the starters at any given moment and to play Patrick McCaw, Ian Clark, Kevon Looney, and JaVale McGee. Even though the overall defense was awful, McCaw rewarded the Warriors with a superb chasedown block and several 3s in one of the most memorable sequences of the season. McCaw stayed with Devin Booker for a chasedown block at the rim, then Kevin Durant pulled a Peak LeBron James chasedown block number two on Booker again, with the ball finding Stephen Curry for a dagger 31-shoot 3. Oracle was at its loudest as the crescendo peaked. While there was nothing home to write about for any of the bench player, the Warriors are at the point of experimentation they’ll live with the results if only so the process is at least there. After the game, Kerr in response to why Andre Iguodala was replaced by Livingston in the closing lineup simply stated Livingston was playing great. It remains to be seen, especially given Iguodala’s apathy to start the season, that Kerr is fiddling with different combinations despite the already open safe. Now they go on the road and first up are the Toronto Raptors, a team ready to give the Warriors a real test if they chance another game of goofing around. Or maybe the process will work out. At least the result is remaining just about the same as the last two seasons.